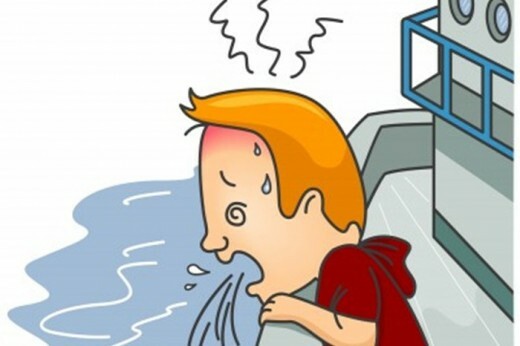 In this entry we give you six advices for not getting dizzy while you are sailing. Take Biodramina one houre before you go out sailing. It is very important to take it because travel sickness is not beneficial. We advice you to take Biodramina with caffeine because in other cases it could cause sleepiness. Think about what you eat. It is advisable to eat bread to keep the stomach full and to drink plenty of water to stay hydrated. There are people that eat a green apple or ginger to settle the stomach. Oily and spicy food as well as dairy products should be avoided. Entertain yourself in some task on the boat. If you feel that you start to get dizzy try to distract yourself, the usual thing is to do something on the boat to keep your mind occupied. Put pressure on your wrist with a paperball under the watch. Its a very effective sailor trick. Roll up a piece of paper and place it under your watch strip. As the wrist moves the paper ball will press against your veins and improves the discomfort. Finally, do not go down into the cabin if you are dizzy because it will make everything worse. Stay on deck and keep on focusing the horizon and breath fresh air.